A wild bird can’t tell you when it feels sick. Birders who know how to recognize sick birds, however, can take steps to prevent spreading illnesses at their birdfeeders as well as render aid to sick birds to help speed their recoveries. But how can you tell exactly when a bird is sick? 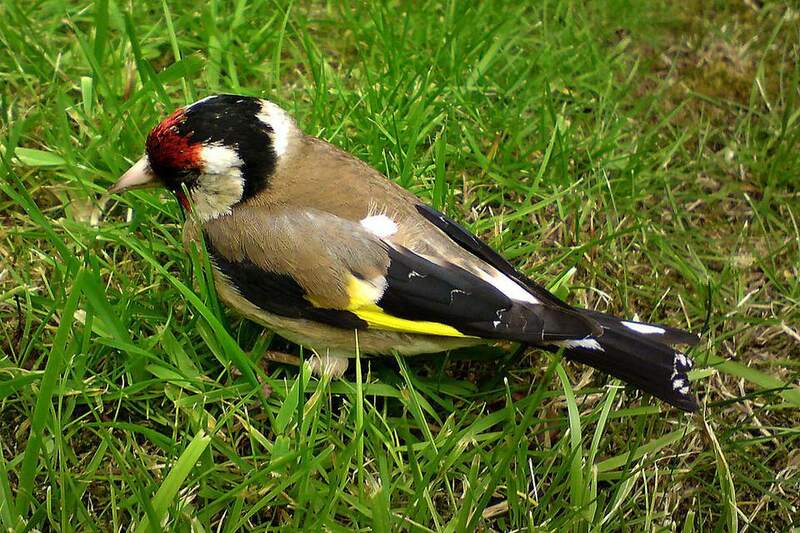 While physical appearance can be a clear indication of illness, it can be difficult to see symptoms in small birds, and some birds may not exhibit physical symptoms at all. In these cases, the bird’s behavior is a better way to gauge its health. Not all birds that exhibit these types of symptoms are necessarily ill, but the behavior is unusual enough to warrant caution in case the birds are sick. There are times when birds may show some signs of illness, either through their appearance or their behavior, but they aren't actually sick at all. In these cases, it is important to leave the birds alone, as they do not require assistance and any intervention, no matter how well-intended, could be more distressing than helpful. Baby birds may look sick with their fluffy feathers, patches of bald skin, and oversized eyes or bills. They may even act sick as they flutter about, are too weak to fly far, or cry for attention. This is all natural for young chicks, however, and unless a baby bird is obviously in grave distress, it should be left alone for its parents to care for appropriately. Some birds have natural deformities such as overgrown bills, crooked talons, or miscolored feathers. Other birds may be missing feet or legs due to old injuries. While these unexpected features may be startling, if the bird is active, feeding, and otherwise alert without a fresh wound or bleeding injury, it is not sick and needs no assistance. Birds can look like a mess when they're molting, with bare patches of skin and scruffy feathers. Depending on the species, birds may even be unable to fly during part of their molting process, but this is normal. Molting may take several weeks, but it is part of birds renewing their plumage, and they need no special help during this time. Some birds, such as vultures and condors, are naturally bald, while others, such as many jays, cardinals, and grackles, can be temporarily bald. It can be a drastic look, but it does not indicate severe illness. Similarly, there are many birds that have normal bald patches, often on the face and neck, and these are also normal and not signs of illness. Because there are so many times when perfectly normal birds may show some indications of illness, it is important to observe birds closely when determining if they are sick or not. Only if a bird shows very severe appearance or behavioral clues to illness, or shows several distinct signs at once, is it likely sick. By recognizing sick birds and reacting accordingly, birders can minimize illnesses among their backyard flocks and help unhealthy birds recover as best they can.